We recommend checking out our discussion threads on the Keldan Video 4X UV Fluorescence LED Dive Light KEL-699, which address similar problems with connecting and setting up Continuous Lights Keldan. 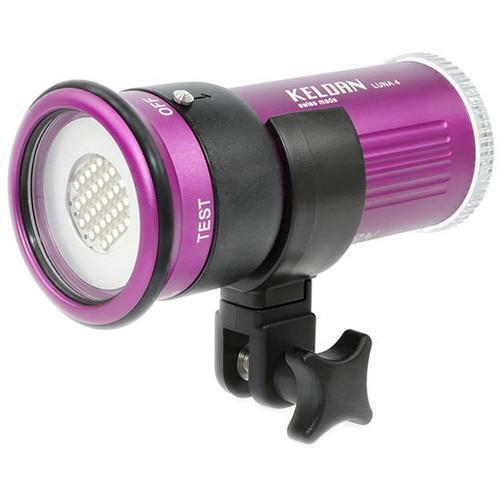 The user manual for the Keldan Video 4X UV Fluorescence LED Dive Light KEL-699 provides necessary instructions for the proper use of the product Photography - Underwater Photography - Continuous Lights. Reveal the brilliant glow emitted by coral and other sealife with this Keldan Video 4X UV Fluorescence LED Dive Light, which features a depth rating of 656'. It has 1.5-5.0W of radiated power at a wavelength of approximately 400nm, for an ultraviolet light right on the border between the visible and invisible spectrums.. The Video 4X Fluorescence model is designed for illuminating certain organisms that emit a fluorescent glow in response to stimulation by specific wavelengths of light. With the proper optional filters on your dive mask and your underwater camera housing's lens port, you will be able to see and capture this remarkable glow. The light beam has an underwater coverage angle of 80°, which is increased to a wide 110° in air. There is a diffuser supplied to allow you to soften the beam. The included lithium-ion battery provides a run time of 55-210 min and is compatible with the bundled charger, which runs on 110-240VAC power and has interchangeable adapter plugs for worldwide use. Built for durability, both the head and body of the light are made of anodized aluminum, while the emitter window is acrylic. If you own a Keldan continuous lights and have a user manual in electronic form, you can upload it to this website using the link on the right side of the screen. The user manual for the Keldan Video 4X UV Fluorescence LED Dive Light KEL-699 can be downloaded in .pdf format if it did not come with your new continuous lights, although the seller is required to supply one. It is also quite common that customers throw out the user manual with the box, or put the CD away somewhere and then can’t find it. That’s why we and other Keldan users keep a unique electronic library for Keldan continuous lightss, where you can use our link to download the user manual for the Keldan Video 4X UV Fluorescence LED Dive Light KEL-699. 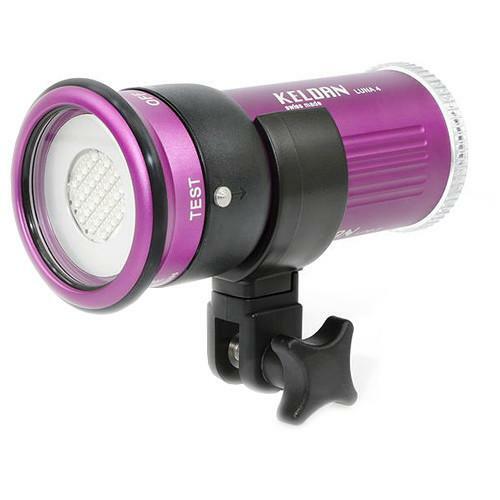 The user manual lists all of the functions of the Keldan Video 4X UV Fluorescence LED Dive Light KEL-699, all the basic and advanced features and tells you how to use the continuous lights. The manual also provides troubleshooting for common problems. Even greater detail is provided by the service manual, which is not typically shipped with the product, but which can often be downloaded from Keldan service. If you want to help expand our database, you can upload a link to this website to download a user manual or service manual, ideally in .pdf format. These pages are created by you – users of the Keldan Video 4X UV Fluorescence LED Dive Light KEL-699. User manuals are also available on the Keldan website under Photography - Underwater Photography - Continuous Lights. When I turn on my light with a fully charged battery it passes the Test phase fine then when I turn the switch to the On position the light goes off & blinks on intermittently .